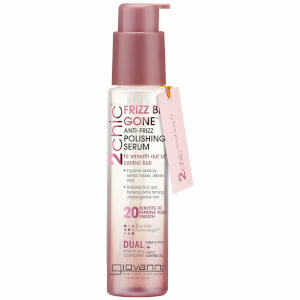 Take control of hard-to-tame curly hair with Giovanni 2chic Frizz Be Gone Hair Mask; a smoothing formula infused with a nourishing blend of oils to provide deep conditioning and frizz-fighting benefits. 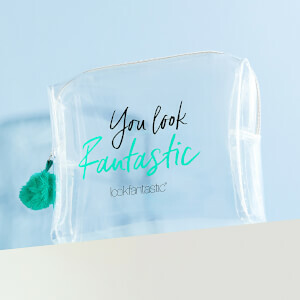 Utilising Shea Butter and Macadamia, Argan, Moringa and Sweet Almond Oils, the luxurious treatment delivers long-lasting moisture and hydration, whilst promoting sleek, salon-worthy locks with improved manageability. Aqua (Purified Water), Caprylic/Capric Triglyceride, Cetrimonium Chloride, Benhenyl Alcohol, Glycerin, Steartrimonium Chloride, Dicetyldimonium Chloride, Stearyl Alcohol, Cetyl Alcohol, Hydroxyethylcellulose, Butyrospermum Parkii (Shea) Butter Extract, Prunus Amygdalus Dulcis (Sweet Almond) Oil, *Macadamia Ternifolia Seed Oil, *Argania Spinosa Kernel Oil, *Adansonia Digitata (Baobab) Seed Oil, *Moringa Oleifera Seed Oil, *Simmondsia Chinensis (Jojoba) Seed Oil, *Cocos Nucifera (Coconut) Oil, Fragrance, Phenoxyethanol, Ethylhexylglycerin, Citric Acid.